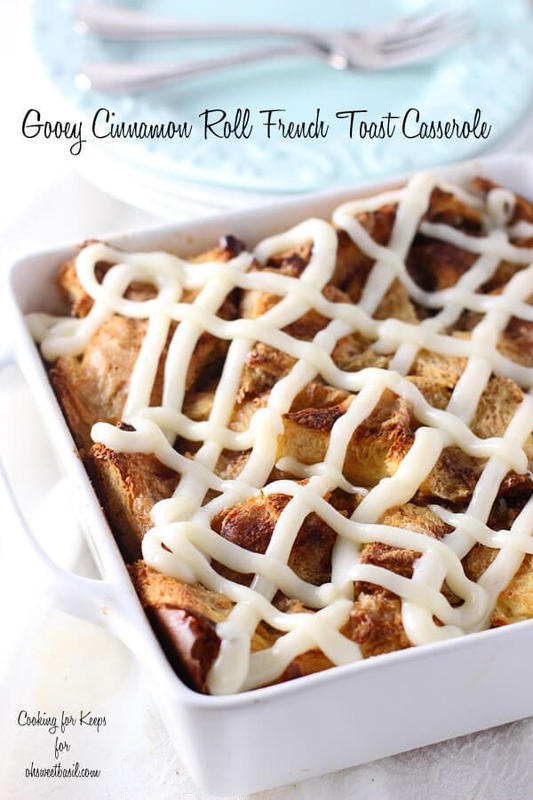 Whenever I think of winter I think of Mom’s potato soup and Cinnamon Rolls. It was always such a treat to come home after a chilly day at school and see the cinnamon rolls rising on the counter and potato soup simmering on the stove. Now I know how many hours she had spent preparing such a warm and delicious meal for us, but at the time I only cared that I would be gobbling it down for dinner. Mom claims the cinnamon rolls were a bribe to get us to eat the soup since she had a very picky little girl named Carrian at the table. I’ve grown up and come to my senses. 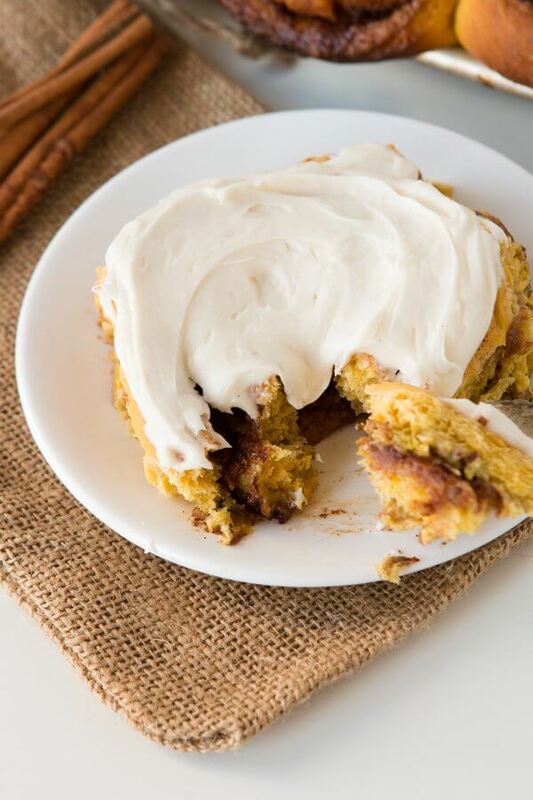 And if you remember we spent years testing the best cinnamon roll recipe so naturally I had to move on to pumpkin cinnamon rolls, its delicious holiday cousin. And let’s be honest, I had a little pumpkin puree from Thanksgiving that I desperately needed to use up! 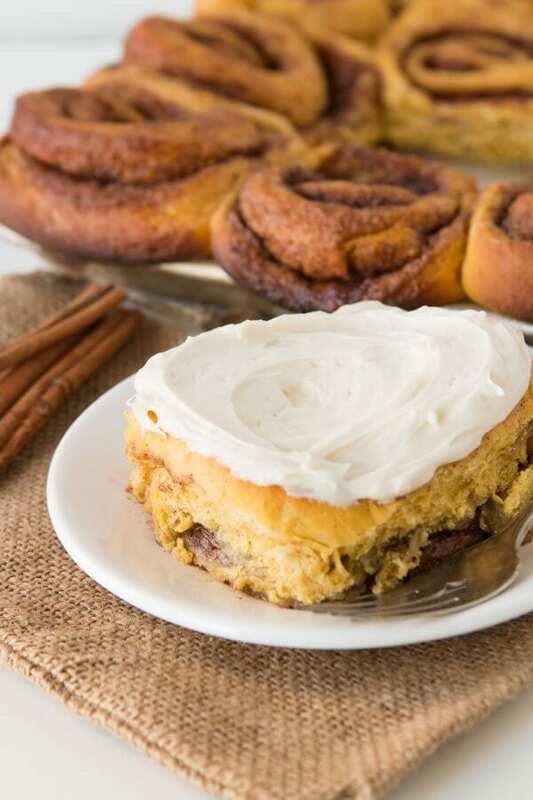 Cinnamon rolls are easy to make, but we all know they are a little time consuming. I prefer to make them on a Sunday when there’s more time and the girls can help out a little. First you want to start off with your yeast. Never use yeast in cold or hot water. It for sure wants bath water and a little sugar to help activate it. I tell the girls that the yeast is eating the sugar and getting fat, so that’s why it’s growing. 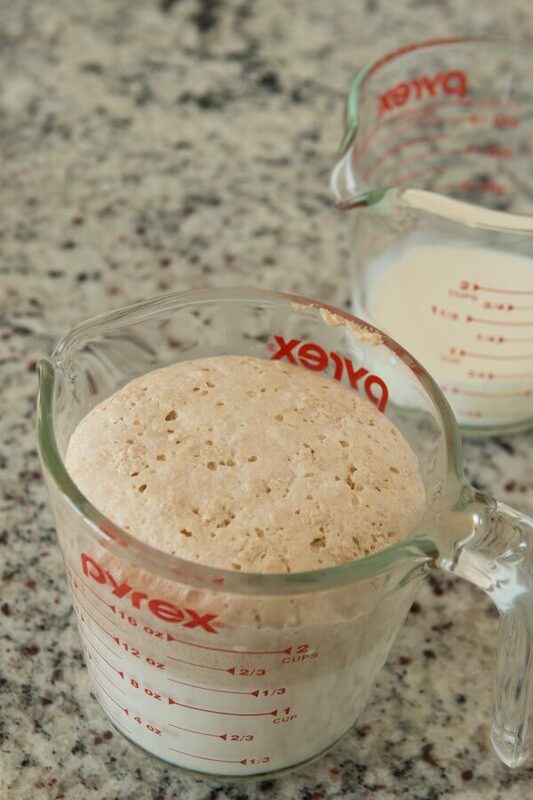 It’s also a great way to make sure your yeast isn’t dead so you don’t waste your time on dough that will never rise. After you’ve mixed everything together you’ll let the dough begin to rise. I used to get a pretty heavy hand when dumping in the flour when I first began making bread recipes so I came up with a way to control that. I mix the dough until soft and allow it to rise then add the remaining flour by liberally flouring the counter and sprinkling a little more on top of the dough. The extra flour creates a smooth dough, but it only takes on as much as it needs so I am not over flouring. Roll out your dough and spread very soft butter all over it. I don’t like using melted butter as many recipes suggest. I feel like it gets absorbed into the dough too quickly and often results in a less gooey filling, and I’m all about that cinnamon filling. The topping is obviously your preference but I love a thick cream cheese frosting versus a glaze on these babies. You can totally do whatever you like. Pumpkin is high in fiber, potassium, and vitamin C.
These nutrients support heart health. Potassium may be almost as important as decreasing sodium intake for the treatment of hypertension, or high blood pressure. 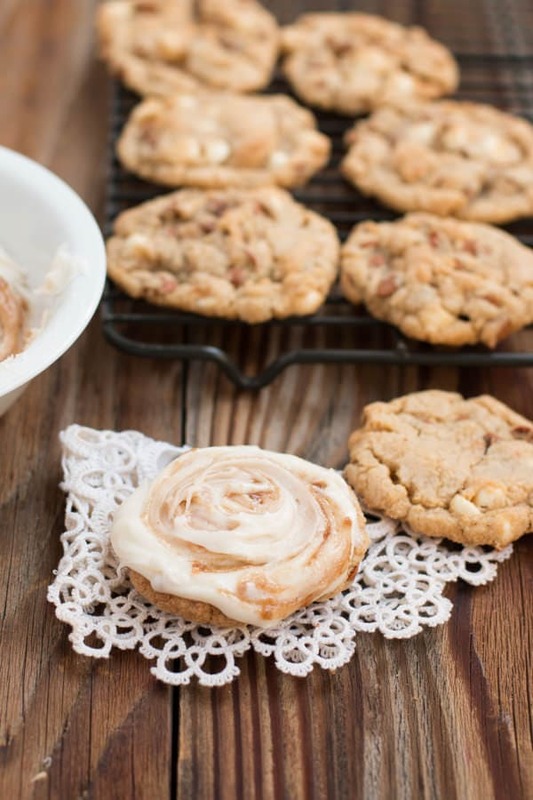 Can Cinnamon Roll Dough be Made Ahead of Time? 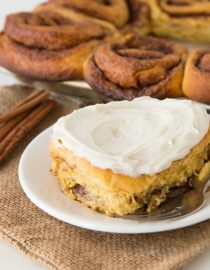 Cinnamon roll dough can be refrigerated either after it is kneaded and before the first rise or after the dough has risen and is shaped. Cover tightly and refrigerate up to 24 hours. Unwrap and allow to sit at room temperature until it has risen to double it’s size. Does Cinnamon Have Health Benefits? Cinnamon is one of the healthiest spices in the world. It can lower blood sugar levels, reduce heart disease risk factors, and help with inflammation. In a glass measuring cup, add the water and cream. Heat in the microwave until warm, about 30 seconds to 1 minute. Make sure it’s warm and not hot. Add the yeast and 2 teaspoons of sugar. Allow to foam for 5-10 minutes. In another measuring cup, add the buttermilk and warm as well. Making sure it’s luke warm, add it to the yeast mixture. In another measuring cup, add the remaining sugar, salt, oil, butter and eggs, whisking to combine. 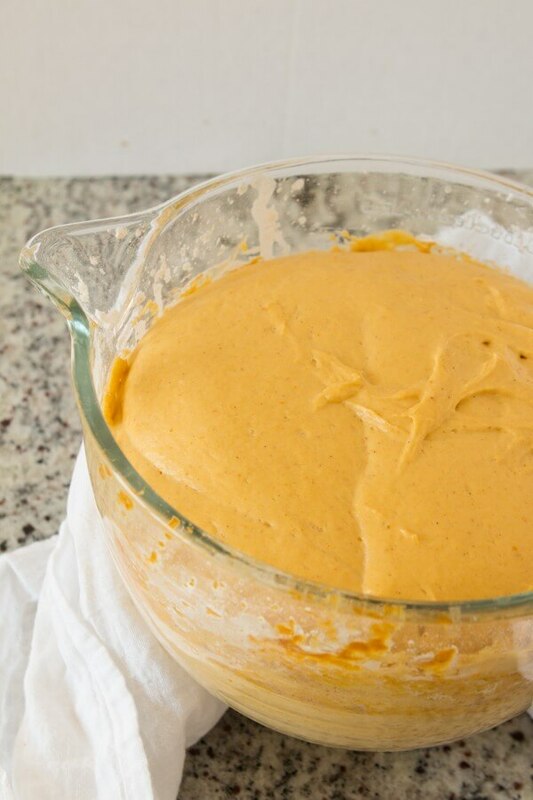 Add to the yeast mixture along with the pumpkin in a standing mixer. Stir with a dough hook to combine. Add the flour and cinnamon over the top and the soy lecithin. Mix until the dough begins to form a ball then mix for 3 minutes, adding an additional ¼ cup flour if you were too light handed with the first measurement and it needs more. I never do, but everyone measures differently. Remove the dough hook and place a towel over the bowl to rise for 1-2 hours in a warm spot. Very liberally flour the counter and sprinkle lightly on top of the dough, and roll the dough into a large, even rectangle. Spread the soft butter all the way to the edges. In a small bowl, mix the brown sugar, sugar and cinnamon with the corn starch. Sprinkle liberally over the butter, all the way to the edges. 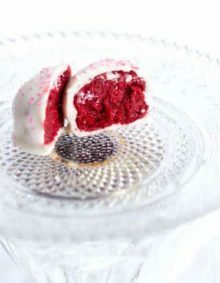 Roll into a tight log and using floss, slice the rolls by sliding it under the dough, bring it up and make an “x”, pull it tight to cut through and set it in the lightly greased cookie sheet. Repeat until all of the rolls are in the pan and then drape with a towel to rise for 1-2 hours. Heat the oven to 350 degrees and bake for 20-22 minutes, watching the tops because as soon as they are golden the rolls are done and you DO NOT want to over bake. 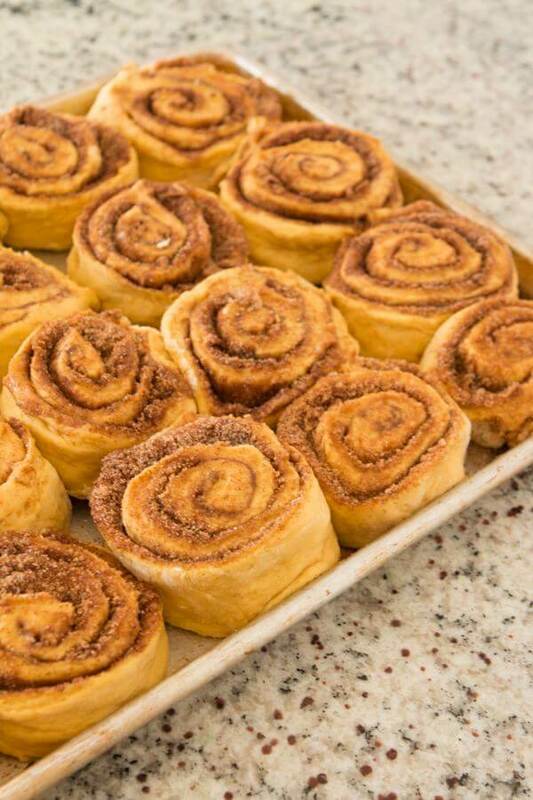 Remove from the oven, cool for 2 minutes and top with frosting while hot. Sneak into another room to enjoy one all alone before the husband and kids find you. 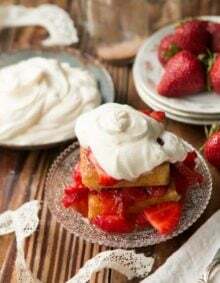 In a bowl, with a handheld mixer, whip the cream cheese and butter together until softened. 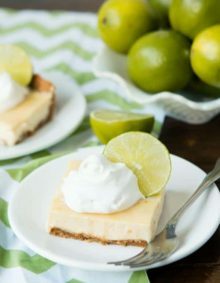 Add the corn syrup (karo syrup) and vanilla a beat again. Finally, slowly beat in the powdered sugar until desired consistency. 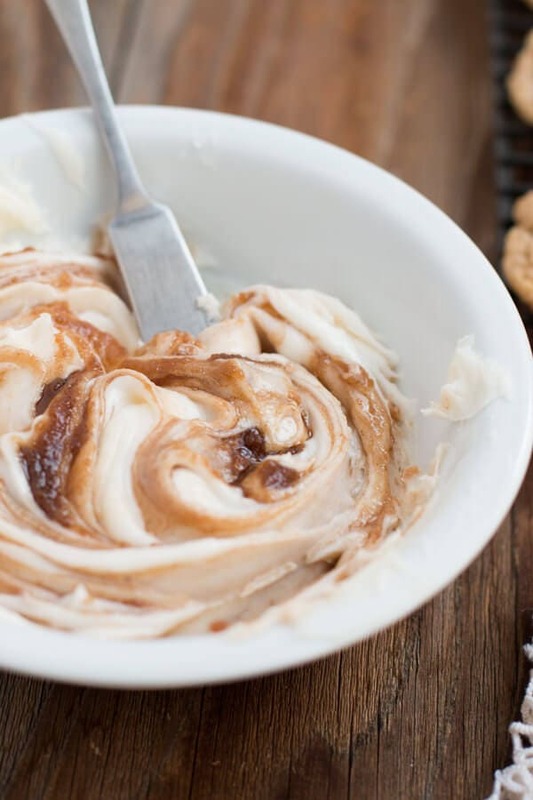 Soy lecithin can be found in natural grocery stores or with food storage and will yield a lighter, fluffier roll. 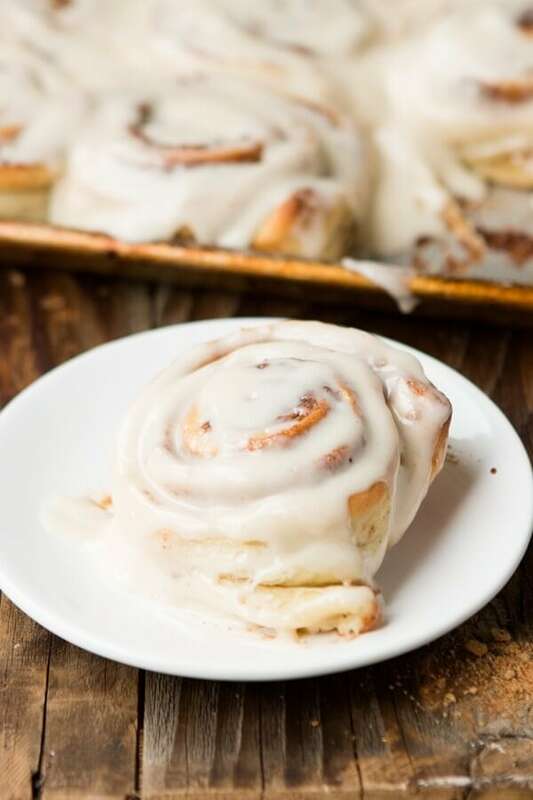 These cinnamon rolls looks so delicious! And they sound so easy to make too. I am always a little afraid to bake any kind of rolls or bread but I think I could do this!